Click on Photos above for information on Sandra, Bill, Allison and Jeffrey. 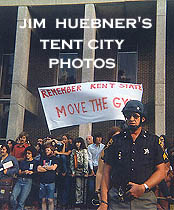 Link to the May 4 Task Force Site to get a schedule for this year's events. Kendra and Mike will see you there! Click on the photos below to connect to the topic described. Only those topics available at this time will be connected. What This Web Site Is All About ! 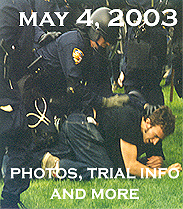 Video of May 4, 2000, May 4 Task Force, 30th Commemoration Available. featuring Bill Arthrell's Vietnam odyssey. A special thanks to Carl DeVaughn, former May 4 Task Force Chairperson, for his generosity in making this site possible. Sign up to be on out Mailing List! If you want to be on Mike and Kendra's May 4, 1970 Web Site Mailing List just click on the e-mail link above and send. 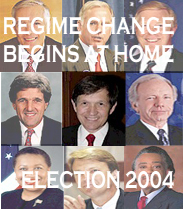 We will inform you of updates about the web site and any other material relevant to May 4, 1970. 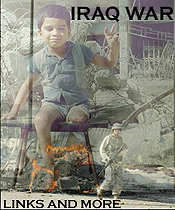 If you want to tell us why you are interested in the events of May 4, 1970, please do so in the e-mail.